Which would you rather have: a penny doubled each day for a month or $10,000? If you haven’t already encountered this question before, you might be tempted to take the $10,000. After all, $10,000 is $10,000, and a penny is only a penny. And even if you suspect that doubling a penny each day might in fact amount to a huge number, most people might not intuitively realize just how much is really at stake. The correct answer—provided you want the option that will make you richer—is to take the penny option. Here’s what you will receive each day for 30 days if you choose the penny doubled each day option. Seen for what it is, this example is truly astounding! A single penny, doubled for an entire month yields a final day’s return of over 5 million dollars, and a total accumulated return of over 10 million! It’s an example of growth which progresses not arithmetically (i.e. by single units) but by what’s known as Geometric Progression, (also known as a geometric sequence or a geometric series)—a sequence of numbers where each term after the first is found by multiplying the previous term by a fixed number called the common ratio. Like the progression of rewards on the popular game show Who Wants To Be A Millionaire, which goes from $100 to a $1 million in just 12 questions by roughly doubling each prize (common ratio=2), the concept of geometric growth is indeed a powerful one. But enough math, how does this apply to your business as a Saipanpreneur? Well, you can apply the principle of the doubling penny in your marketing and advertising campaigns to grow your business and sell more products. Now before you get too excited, keep in mind that the reason many people never realize the full potential of their marketing and advertising efforts is simply this: They don’t have the patience to see it through. Look back at our example for a moment, and notice how the rewards grow. A week after you’ve started, your daily take is still just 64 cents. Fifteen days later—fully half way through the process—your daily take is just $163, just 0.00305 percent of what it will be on the final day. (That’s LESS than 1/2 of 1/10 of 1 percent!). Two-thirds of the way through, at $5242.88, your day’s reward is just about 1/10 of a percent of what the reward will be on the final day. So for many people, since it’s difficult to gauge how the momentum of a campaign is really growing, they abandon the campaign before they reach Day 30! If you own a business you are marketing, or a product or service you wish to sell, your mission is to tell the world about it. Imagine if the numbers in our penny example represented the number of people who bought your product. Or, let’s be conservative, and say it represents the number of people who merely HEAR about your product. And let’s say that only 1 percent of these people purchase your product for $25. So 53,687 people buying your product means sales of $1,342,177.25. In truth, when it comes to getting the word out about a business or product, a 1 percent response rate is considered great. Success in marketing is really a numbers game. The more people you tell, the more people will eventually become your customers. 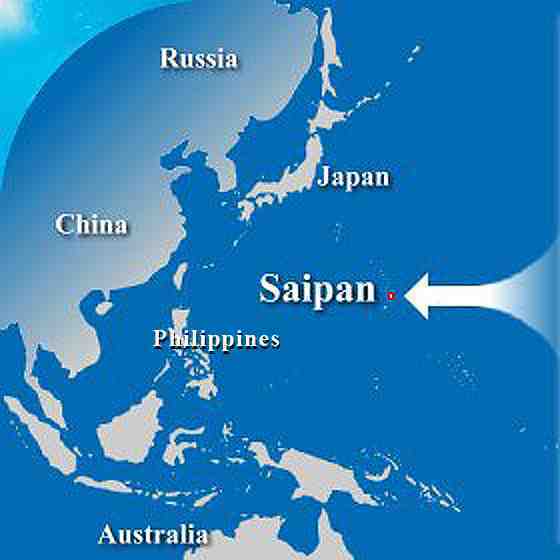 Now, I know what you’re thinking: There aren’t 53,687 people on Saipan who I can count on to purchase my product or service. What should I do? One answer to that question will bring us back conveniently to our blogger and his 48-cent income. That 48 cents, which will eventually be deposited into a Paypal® or local bank account, was generated by clicks on an Adsense Ad. Those clicks might have been generated by visitors to his blog from anywhere in the world from Australia to Zimbabwe. (*See “Blog Your Way to Better Times” Tribune articled date January 10th 2007 for how to set up your Adsense account). And that 48 cents and the potential it represents isn’t even based on a physical product! It’s entirely advertising-generated, based on the typically small percentage of website visitors who click on ads while visiting a blog. What if you had a website devoted to a product that people were actively searching for? It is my fervent belief that one of the best strategies for every business here in the CNMI is to embrace technology in order to expand the potential market for new and existing products, as much as practical and possible, beyond our immediate shores. One tremendous advantage we have is that being part of the U.S. postal system makes more practical the option of shipping products to the U.S. mainland—a sizeable market—at an affordable cost. What new or existing products that we can create here would people outside the CNMI be interested in purchasing? A pair of saipanpreneurs profiled in this very column back in April 2006 sell CDs and DVDs produced here on Saipan through their www.olomwaay.com site; another Rota-based couple hope to expand the market for locally grown Daok oil on the www.saipanpreneur.com/daok page. What unique ideas can YOU come up with? Another strategy for maximizing your sales is to think “empire.” Every product idea that you have has the potential to be the basis of an empire. When I wrote my first book to help music entrepreneurs in the Rap industry start their own record label, I immediately started thinking about extending the concept to apply to other types of music as well. 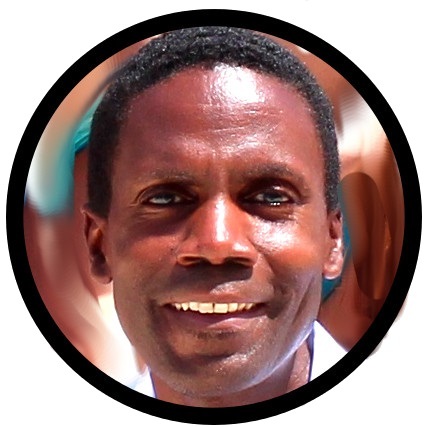 I envisioned books for Gospel, Rock, Jazz and Rhythm and Blues musicians. It was this sort of vision that always drove me to create new products along the same original theme. Today, the empire has become the “Turn Your Passion Into Profit” line of products. To build your own empire, you too must become a possibility thinker. You must think in terms of sequels, 2nd editions, translations into other languages, modifications for different ethnic groups, religions, special interests or children, movie rights, calendars, mugs, clothing and even food! You must ask yourself, which other target audience could I sell to using the same concept with slight modification? What other types of products could lend themselves to being marketed under the same theme as my original idea? A prime example of this type of “empire thinking” is Jack Canfield’s Chicken Soup for the Soul series of books. There are now Chicken Soup for the Golfer’s Soul, mother’s, writer’s, children’s, and probably even the chicken’s souls! Just kidding, Jack! From the onset of your business, you should be an empire thinker to increase the markets for what you sell. Especially here on Saipan, with such a diverse population, a little effort and creativity to maximize sales to different groups and their families “back home” might go a long way! And finally, to help you come up with a viable business idea, heed the words of Robert Allen, author of Multiple Streams of Income, who says the perfect business needs to be a "money tree." Each letter of the phrase “M.O.N.E.Y. T.R.E.E.” represents a quality or feature that the perfect business should possess in order to survive and thrive. Outstanding—Your product or service must be outstanding in its field. No money Down—Your business should require little or no money down as an initial investment. Employee-Resistant—The less employees your business requires, the safer, the easier and the more profitable it will be. Yield should be high—You must be in an industry and have a profit margin that produces a high profit yield. Timely—Your product or service should be timely. Residual—Your business should create residual streams of income for you. Essential—What you provide should be essential, or at least people must feel that it is. Enthusiasm—In order to survive and thrive in business, you must be enthusiastic about what you do. With the right questions, the right answers, and the right commitment, it’s not inconceivable that you too can harness the Power of the Penny to launch and grow your business. The next WeLoveSaipan.com Blogger Meetup is coming soon on the final Wednesday of each month. The only way to know the new location is to visit the WeLoveSaipan.com website. It’s been almost a year since my first “Turn Your Passion Into Profit” workshop here on Saipan. If you think it’s time for another perhaps, email me what specific topics you’d like to cover (finding your purpose, blogging, marketing, going global), and if the demand is there, we’ll make an announcement soon!